I remember a key moment early in my career. I had been receiving target grades that students were supposed to aim for in their exams in my subject. I knew these were based on a set of cognitive tests students completed when starting secondary school, but I wasn’t clear how. Now I was staring at a set of graphs, one for each child. They had bars at different grades representing the different percentage probabilities of obtaining each of those grades. None were greater than about 30% and every child had some non-negligible probability of obtaining any of the possible grades. This made a nonsense of target grades which were simply based on the grade with the largest percentage plus a bit of ‘aspiration’. Yet if a child had a 10% chance of an A and their largest bar was at C, did B represent an aspiration? I realised that, although there was some powerful statistics sitting behind this data that could predict relative proportions of grades for large numbers of students, at the level of the individual student, they were pretty meaningless. I’ve tried to stay out of the divination business ever since. Are some people just not cut out for maths? I don’t know. There’s a lot of interest in genetic factors in education in recent times, but I suspect the predictive power of genes at the individual level is even less than those cognitive tests. We can fool ourselves into making up narratives about our students and even ourselves, but I suspect they are just stories. One issue with mathematics is that people tend to misunderstand it. It is a sequence of rigidly hierarchical knowledge, much of which becomes automatised and therefore feels like a skill. Yet if any steps in that sequence are missing, there will be trouble. If a student came to me and said they wanted to study Mathematical Methods at VCE, but they could not manipulate basic linear algebra, then I would be frank that success was unlikely. That’s not to write that student off as not a maths person. It is to state, quite logically, that first they would need to learn some linear algebra and see how that goes. In time, they could be as capable as anybody else of tackling Methods at VCE. However, we all know the casualties – the kids who opt out of maths as soon as they can, convinced that it is not for them. And we know those who, despite years of maths lessons, don’t learn basic linear algebra. Is there a inevitability to this or are we, as maths teachers, contributing to the problem? Jo Boaler, Professor of Mathematics Education at Stanford University, has written a blog post that attempts to address this question. Boaler is convinced that everyone can learn higher level mathematics and makes a number of suggestions about what might be going wrong. Is it not? How come? There’s no reference to turn to. However, the major thrust is an argument Boaler has made before about the value of struggle. By struggling and making mistakes, we cause our brains to grow and change. Students therefore need to be presented with situations that make them struggle with maths, but in a supportive environment where they understand that it is okay to make mistakes. For this to be a good plan, we need to accept two propositions. Firstly, we need to accept that struggle is an effective way of learning mathematics and, secondly, we need to accept that we can intervene effectively to frame that struggle in a positive way for students. The second of these propositions involves what might be called a ‘growth mindset intervention’. Such interventions have been proposed based upon the work of Carol Dweck, a psychology professor also at Stanford who has researched different mindsets. Currently, the evidence for the value of such interventions is weak. Students may well have different mindsets but that does not necessarily mean that as teachers, we can tinker with and somehow improve them. Without such a backstop, inducing struggle in the maths classroom represents a significant risk. It will increase cognitive load in a way which is likely to be demotivating for many students. 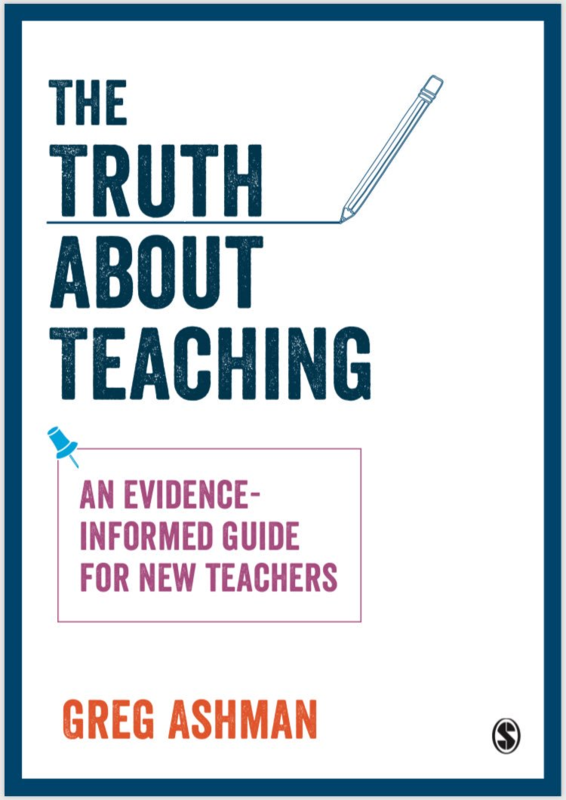 Indeed, observational studies of teachers suggest that more effective teachers obtain a high success rate from their students, indicating that they carefully modulate the level of challenge and ensure it does not become too high. So perhaps struggle is effective but potentially demotivating? Not so, the same approaches that manage cognitive load appear to be both more effective and more motivating. This is not a surprise because we can intuitively grasp that it is motivating to improve at something. I’m not sure what brain scans can really tell us about that. However, I like Boaler’s optimism. Whether everyone can manage higher level maths or not, we should do our best to give students a strong grounding, using the evidence as our guide. They may then make their own decisions about what to pursue. The reason that math fails to excite so many students is the apparent pointlessness of it all after one learns basic arithmetic. Math is generally taught without context and without application, and no, the toy word problems aren’t a substitute for having real problems that students *want* to solve. The problem is compounded by teachers who love abstract mathematics and have have a bit of disdain for practical application. When I’m king of the world, math instruction will be embedded in other courses that focus on real world issues, with math being a tool to solve problems that students care about. What an impoverished view of what maths is. Do you also insist that music, history and sports instruction also include mundane applications to everyday life? Saw that one coming. Functional poetry becomes how to ask the girl in 3b out and history becomes centred on our own past. It is well to note that Boaler is an enthusiastic proponent of ‘ethnomathemics’, which, according to Diane Ravitch, is founded on the belief that “traditional mathematics—the mathematics taught in universities around the world—is the property of Western Civilization and is inexorably linked with the values of the oppressors and conquerors”. I thought that silly stuff had died a natural death back in the 90s. Obviously not for some. This is an item that seems to depend a lot on what someone means by struggle. This article points out that some feeling of difficulty is optimum for getting the brain to change itself. It is similar to the point made in the Learning Scientists blogs about reviewing. That is it is better down after some period of not looking at the material to force use of long term memory. I don’t think this contradicts the idea of explicit instruction and worked examples. An initial exposure to new ideas doesn’t have to be the difficult part. In math doing examples oneself and doing the same type of problems again after 2-3 weeks would present the sort of difficulty described here. I also don’t see that anyone has to make it difficult by minimizing explanations or worked examples. There are always better ways to create a challenge in math. One of the issues with constructivism is that it is right in principle but wrong in practice. It is true that we must all wrestle cognitively with new information to learn it but this is accepted by both sides (don’t believe me pop over to The Learning Spy or read Greg’s back posts). The issue is simply about how much we cut our steak up before we eat it. That is an empirical question that can and has been investigated. For everyone on the novice side of the continuum explicit teaching at the most granular level works. The main limitations to this are teacher knowledge (of the progression, examples to be used and misconceptions to be avoided) and the diverse nature of the students they teach (leading to differentiation which is another idea that is good in principle but terrible in practice). Like Stan I keep thinking of the ideal progression of learning (novice to expert – simple to complex) but my practical experience has been that as long as I know the next step a student needs to learn, the misconceptions to look out for and methods of addressing them and finally the time and patience to keep reteaching then everything falls into place. (I don’t dismiss other planning it’s just a poorer return on investment). This can be learnt, systemised and taught to teachers but it is predominantly domain specific. When Greg talks about curriculum planning in a team I think this what he means. No here’s a cool card sort but rather what did you do to address misconception X and did it work better then my approach. Apologies if I meandered a bit here. I don’t think I disagree here (except that constructivism is right in principle, for me it is obviously inefficient). My suggestion is that if you took the average adult who is not involved in math and explained fractional division with the best approach possible and worked examples and then asked them to explain it to another person immediately and again in 2 weeks both would provide enough struggle. Remembering stuff is hard work without the added pain of trying to discover it yourself. So it is not struggle we should object to. What is objectionable is not appreciating how much of a struggle it is simply remembering something new we heard 5 minutes ago or 2 weeks ago. The principle bit is that struggling to construct our own understanding is part of learning. The only issue I would query would be on the need to focus on difficulty at all. I would prefer focusing on explanation. Where do we go next? What can I link this to? Where could we understand? In regards to difficulty I’m trying to minimise it (though I never get rid of as much as I want). Recall then becomes an inevitable focus. This is what we have already looked at that prepares you for the next step. The ancients used to memorise arguments (back when they thought books would ruin the intellect) and I always wondered if they did this verbatim or resynthesising it every time with subtle differences of emphasis. Hope this makes my point better. ‘It is a sequence of rigidly hierarchical knowledge, much of which becomes automatised and therefore feels like a skill.’ Seriously Greg, this is the best description of mathematics I have ever read.